Ellen is more than a person. She's a cat person. I don't mean someone who likes cats. 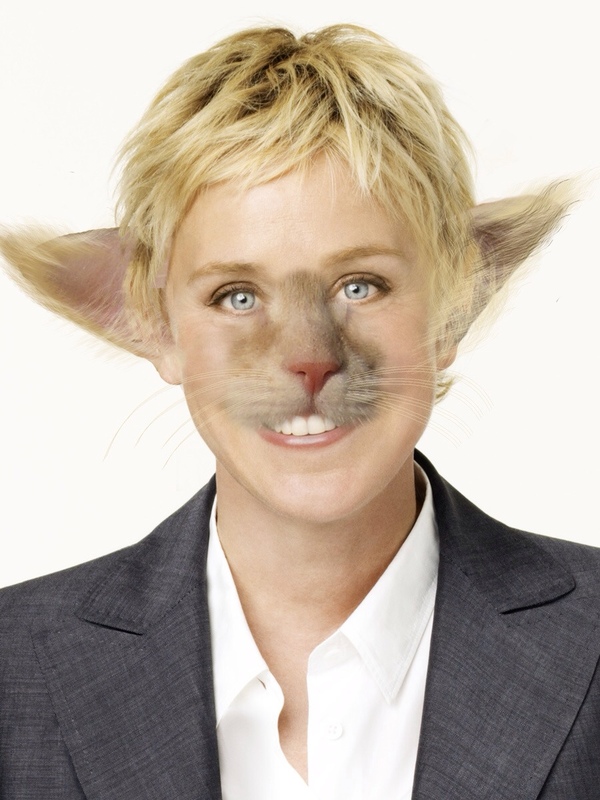 Ellen really is a cat who passes as a person. Cats who watch Ellen know this because she leaps across her table and stretches in her chair and plays tricks on people. She also has lots of cats at home to keep her company. Not all parents watch Ellen. Some watch Oprah and others watch The View. But cats watch Ellen because Ellen is a cat person. She plays with guests the way we play with our rubber mice. Why? Because she's a cat person. As a tribute to the world's best cat person, we are naming Ellen our very first Cat Person of the month.